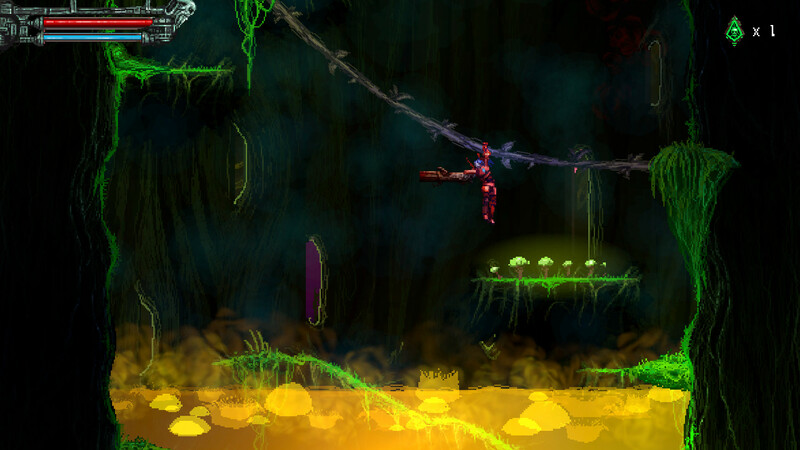 Valfaris is a crazy, overflowing extreme, two-dimensional platformer based on heavy metal, blood, killing opponents, meat, the most fantastic weapon and just an unfortunate plot. In the story you will need to go to the citadel Valfaris, which was once a real paradise. Suddenly, it disappeared many years ago and now has appeared in the orbit of a dying star. You are the rightful heir to the ruler of the citadel, a warrior named Therion, who now has to go deep into the citadel and find out what evil has settled there. Find out the reasons for the disappearance of the citadel and its appearance in another place, imbued with the evil that devoured it and free your house from Darkness. As for the gameplay, so here at the time will be to mention the game called «Contra», which was once one of the most popular on the consoles of the first generations. It was her gameplay and has helped for the current masterpiece. 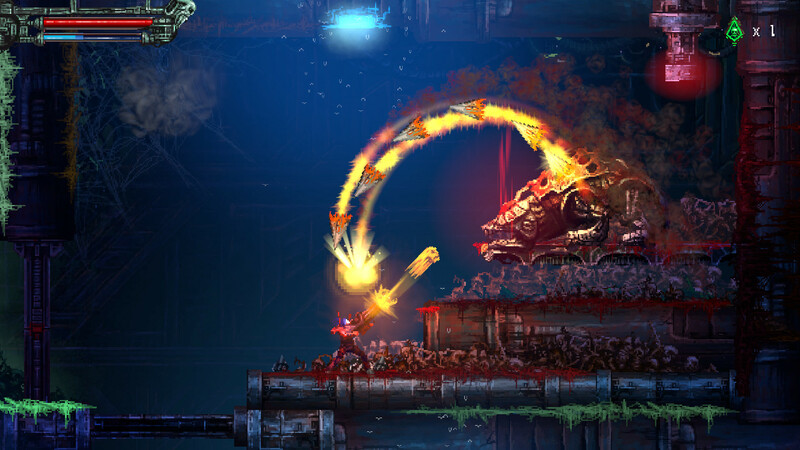 You have to fight with numerous opponents on a huge number of very different levels, run forward, fight your way through meat and blood under heavy metal, tear off the bodies of enemies with fantastic and very powerful weapons, and do much more. Do you think you can handle it? Well, don’t be so sure about that. 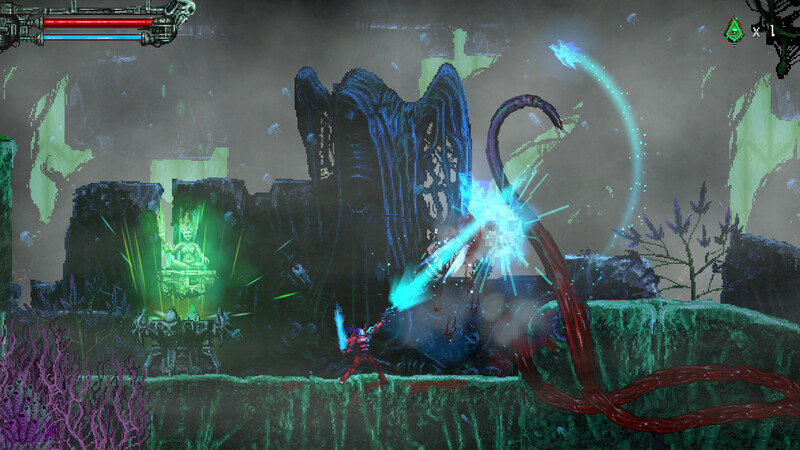 For dozens of levels in Valfaris, you will fight deadly grotesque enemies, each of which will be unique in its own way. One will throw at you immediately after the meeting, the other will try to take them by surprise — you will have to act for sure. Grab cannons, swing them, and tear your enemies to pieces. You will have a whole arsenal of fantastic weapons — use them and pass level after level until you meet your main enemy.